Two colleges have scrapped merger plans less than three months after they were announced. Stanmore College and West Hertfordshire College formally declared their intention to join forces in February, following the West London area review. But both have now confirmed the merger has fallen at the first hurdle. Gill Morgan, West Herts College principal, told FE Week: “Whenever structural change is considered it must bring benefits to local people and businesses as well as local colleges. Sarbdip Noonan, Stanmore College principal, confirmed the planned link-up had been scrapped, but that the college had built up “positive relationships” with West Herts which it “looked forward to building on”. She added: “Stanmore College is now in a much stronger academic and financial position than it has been for some years, having improved its Ofsted rating to grade two in just one year”. The option for Stanmore to merge with West Herts came after the north-west London college rejected the recommendation from the West London area review, which ended in November, for it to join forces with three of its neighbours. The report into the review, published February, said the college had turned down the four-way merger involving Harrow, Uxbridge and West Thames colleges following a structure and prospects appraisal. 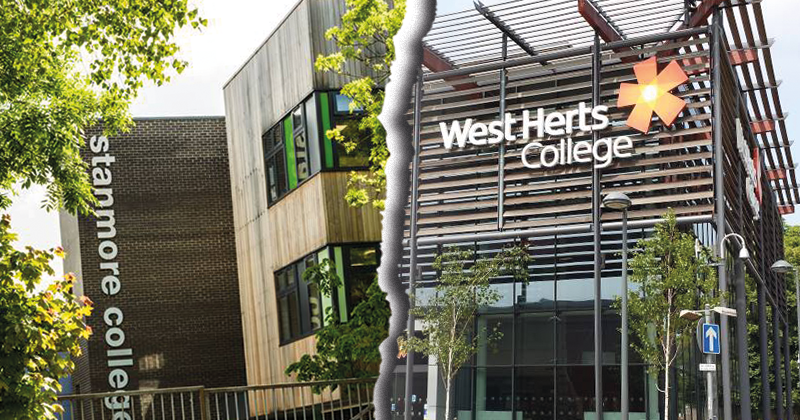 A link-up with West Herts was the college’s “preferred option”, and the decision had been taken “after taking account of the deliberations of a panel meeting to review the options which included local stakeholders”, the report said. Stanmore bounced back to a ‘good’ Ofsted rating in March, just 18 months after it was branded inadequate by the education watchdog. The college was applauded for its “rapid and significant improvement” since the previous inspection, in September 2015. That ‘inadequate’ rating led to a visit from the FE commissioner, Sir David Collins, in December 2015. His report singled out the previous principal, Jacqui Mace, for the college’s failings and placed Stanmore in administered status. Ms Mace was subsequently replaced as leader of the college by Ms Noonan, following the publication of the damning Ofsted report. West Herts College, which was rated outstanding at its most recent inspection in March 2010, took part in the Hertfordshire area review. That review is understand to have completed in March, but the recommendations have yet to be published.